It removes makeup easily, all make up (even waterproof) with fingers while taking care of sensitive skin. Apply the gel all over the face and neck with your hands, massage the face, the makeup remover turns into milk, and then rinse with clear water or with a damp sponge. Put a hazelnut of clean EFFECT® on clean cotton, apply it on the whole face and neck to perfect the cleansing and toning the skin. 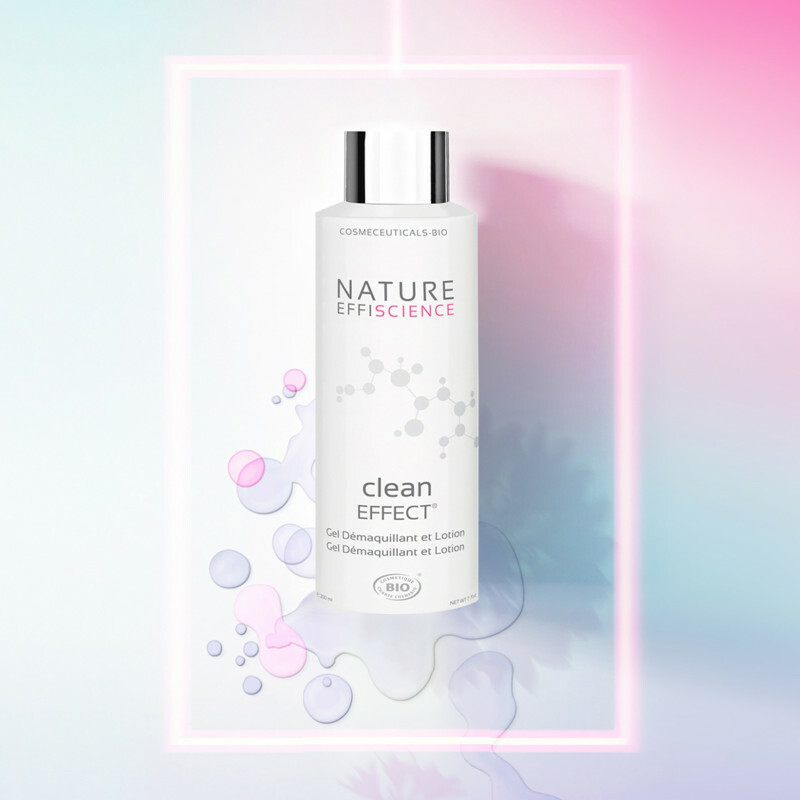 clean EFFECT® is designed without parabens, phthalates, mineral oils, monoethanolamine, diethanolamine, triethanolamine, silicone and animal ingredients. clean EFFECT® is guaranteed without endocrine disrupting ingredients in its formula and in its bottle.